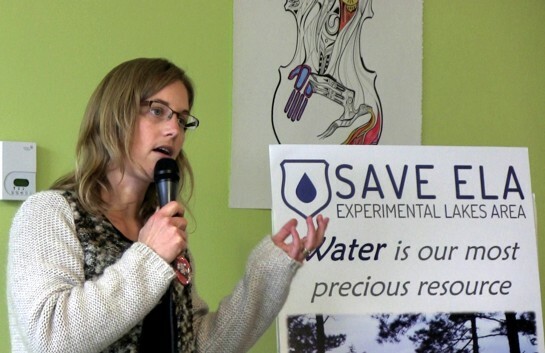 Dr. Diane Orihel is the founder of the Coalition to Save ELA.The Coalition to Save ELA is a nonpartisan group of scientists and citizens concerned about the future of Canada’s Experimental Lakes Area. Located in northwestern Ontario, the ELA consists of 58 small lakes and their watersheds that have been set aside for research. Since 1968, these lakes have provided scientists with a natural laboratory to study the physical, chemical, and biological processes in living lake ecosystems. Research conducted in the ELA has been critical to maintaining the quality of fresh water in Canada and many other countries. Last year, the federal government announced plans to close the facility in 2013. Supporters of the ELA mounted a vigorous national and international campaign to maintain federal support. They have been partially successful, insofar as the Ontario government has committed to a short-term agreement to work with Winnipeg’s International Institute for Sustainable Development to spend up to $2 million a year. Under the agreement, IISD will oversee lake monitoring and the federal department of Fisheries and Oceans will continue its remediation work. Celebrations would be premature. According to Orihel, “it is now illegal to conduct whole eco-system experiments at ELA.” And whole ecosystem experimentation is precisely what put ELA “on the world map,” according to Orihel. And hence, the campaign to save the ELA continues. Orihel spoke recently at a workshop on water quality and oil fracking. This workshop was sponsored by Idle No More Manitoba as a part of its Red Feather Campaign in solidarity with the people of Elsipogtog, New Brunswick, who have been resisting plans to frack for oil in their territory. I recorded the workshop on Oct. 26, 2013 at Neechi Commons in Winnipeg. Electioneering in the guise of consultation – it’s tawdry & cynical and has to stop!